With more than 25 years experience in restoring and cleaning the finest handmade rugs and our cleaning techniques will protect your investment and extend the lifetime of your precious heirloom. We use organic, eco-friendly cleaning solutions safe for antiques, humans, pets and the environment. 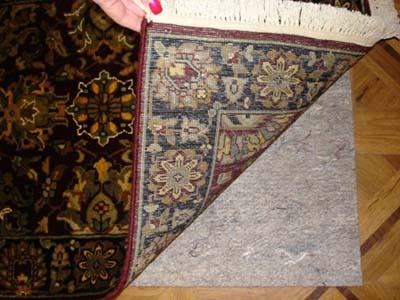 Oriental and area rugs are different in their construction, fibers and dye lots. We understand these differences and that is why we use the most advanced in-plant cleaning process to fit each individual rug. Our traditional hands-on process for cleaning and repair, coupled with the latest technology provides the most comprehensive way of caring for your investment. Most Oriental rugs are hand or machine woven on cotton, silk or wool foundations. The pile is usually comprised of wool, dyed with vegetable or synthetic dyes. A true expert is trained to recognize the complexities of rugs, which helps avoid unnecessary problems associated with cleaning. We specialize in repair of valuable handmade carpets and rugs restoring there beauty and strength. We match color and reweave portions of the carpet, restoration requires experience and discernment in the matching of yarn texture and color. Restoration can make a damaged piece usable and commercially viable once again and increase the life and value of your rug. Our native experts have the knowledge and the experiance to bring your oriental rug back to life. Pads under Oriental rugs can prevent sliding, prolong the life of the rug by cushioning the impact between shoe sole and hard floor surfaces, and provide comfort under foot. Also they provide ventilation under the rug which helps prevent dry rotting and mildew.